In contrast to other renewable energy sources like solar or wind energies, biogas is produced continuously. The storage of biogas into the natural gas pipeline system could enable constant electricity production. However, biogas contains up to 50% of CO2 and a CO2-separation from the biogas is necessary for storage to be possible, but conventional technologies for doing so are too expensive and energy-consuming for most biogas plants. Innovation: EARTO member Fraunhofer developed an innovative process that allows the CO2 separation from biogas by a simple filtering process. This technology is robust and independent of gas compositions and impurities. 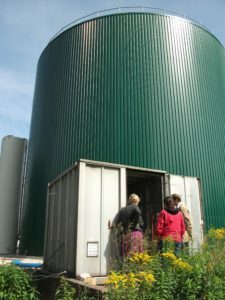 It is also much less energy-consuming and cost-efficient, making it accessible for small and medium sized biogas plants. Impact Expected: The new technology was successfully tested and economically evaluated on real biogas plants. In comparison to conventional gas cleaning systems, this technology would save up to €4.8 billion/year in Europe. The amount of biogas feeding into the natural gas systems could be increased by a factor of 10 in the next 10 years. The same technology can also be applied to several other gas separation tasks. 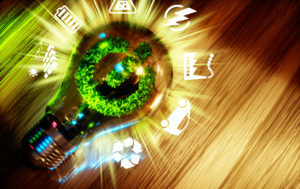 The Fraunhofer- Gesellschaft is a German RTO which has a clearly defined mission of application-oriented research, with a focus on key technologies of relevance to the future.